The most important thing for a data guy is having a way to restore data. If security, performance, etc. are broken, those can be fixed is we have the data. If we don’t have data, does security matter? It’s important, but secondary. When Crashplan stopped providing a multi computer setup, I needed to get a new solution for home. I asked on Twitter and then wrote a bit about my evaluation and choices. These were my particular requirements, and yours may be different. 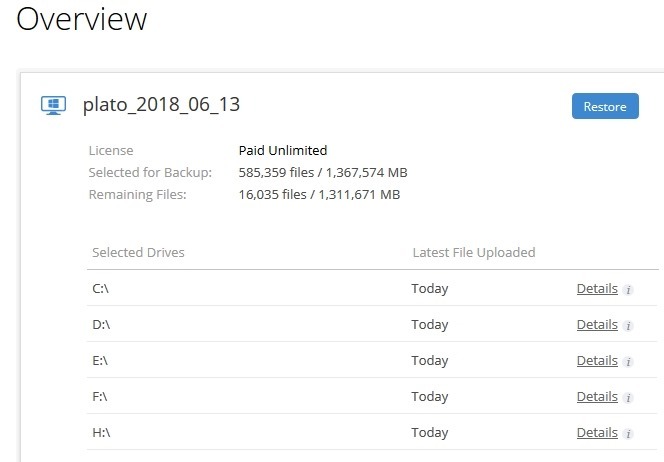 In any case, I decided to evaluate BackBlaze under their couple week evaluation and keep the system simple for both my wife and I. As a part of that evaluation, I tested restores. I didn’t simulate a crash and restore all my files, but instead decided to test this while out of town. I was in the UK, at the Redgate Software office and wanted to check an expense report I’d submitted. I also wanted to get the latest expense report to add some items to it. I keep these on my desktop, but I haven’t setup a home VPN for access, nor would that have helped. My desktop was powered down for my 11 day trip. Note: I didn’t have Backblaze software installed on my laptop. 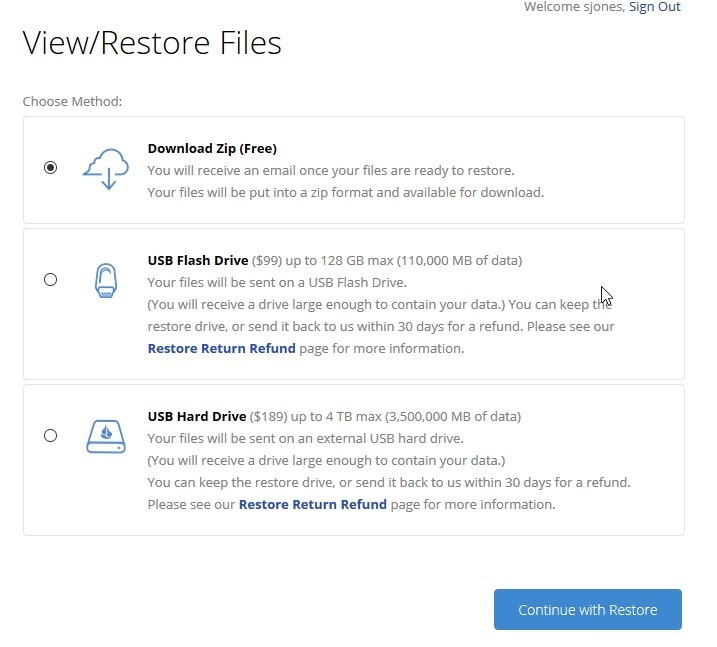 I selected Restore and went to a new screen where I had a choice for the restore. I selected getting a ZIP file, but it’s nice to have other options for large files. If I were pulling back 2TB of images, I might just pay for a hard drive. Below this, I saw my drives and I could navigate to select select files. 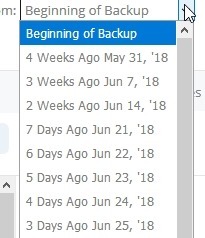 I also had options to see different versions of backups. Once I found files, I picked the one I needed and started the restore. Just for a test, I picked a file on a different drive to see what would happen. I went on with my day, and within an hour, I’d gotten an email. This let me know my restore was ready and I needed to securely sign in to get the download. I like that this was a sign in and now just a link to some random file. 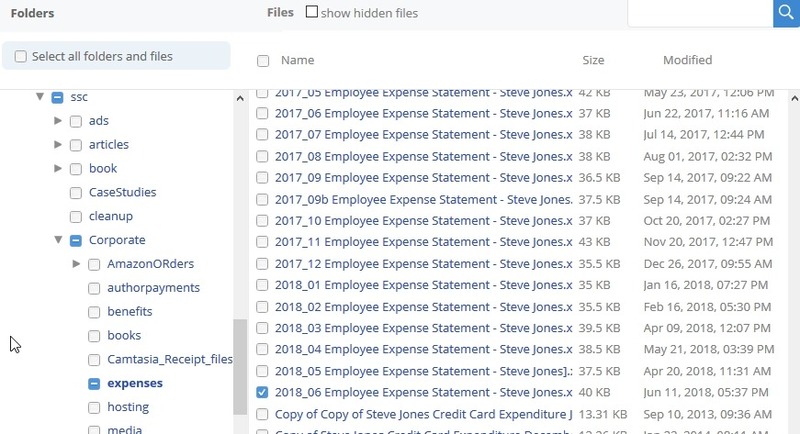 I downloaded the zip file and inside were the files I’d selected. I unzipped them and filled out more of my expense report. 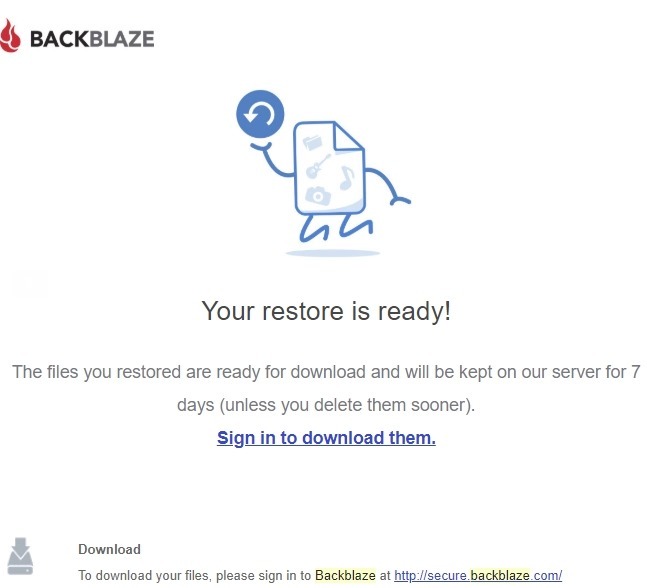 This was a smooth process and validates my decision to use BackBlaze. It’s easy for my wife, which she’ll appreciate, and I can easily access things on the road. My trial goes until the end of June, but I’ll sign up for the service once I return home as this will work well for me.